Saturday is St. Patrick’s Day. The weather forecast for these parts on Saturday? A balmy 72. 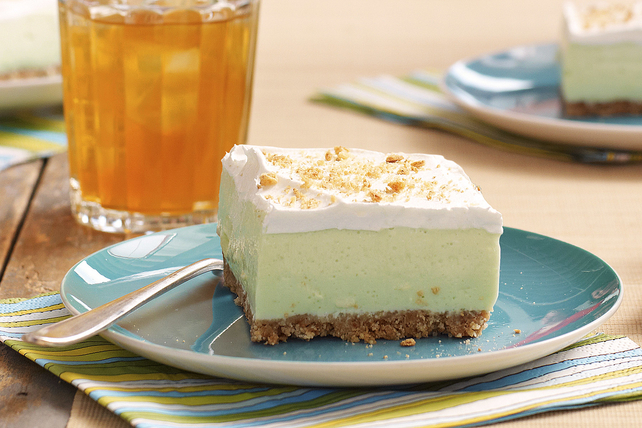 So…a green dessert for a warm spring day? What’s better than something Key Lime?!? The fine folks at Kraft agree and provided the following recipe. Total Time: 6 hr. 20 min. Find yourself on Cloud Nine with these ‘Key Lime’ Cloud Squares! The fluffy texture of these ‘Key Lime’ Cloud Squares will send you to dessert heaven. Add boiling water to gelatin mix in small bowl; stir 2 min. until completely dissolved. Add ice; stir 2 min. or until thickened. Remove any unmelted ice. Beat cream cheese in medium bowl until creamy. Gradually beat in milk, then lime juice. Add gelatin; mix well. Whisk in 1 cup COOL WHIP. Pour over crust. Refrigerate 6 hours or until firm. Cover with remaining COOL WHIP just before serving; sprinkle with reserved graham crumbs. Use plastic wrap handles to remove dessert from pan before cutting into squares. CLICK HERE to see a video and to get all the nutritional info. Since she lives in Key West now, Dr. Cory Prince Reagan, the heroine of DOUBLE CROSS, has a real fondness for all things Key Lime, including this dessert. 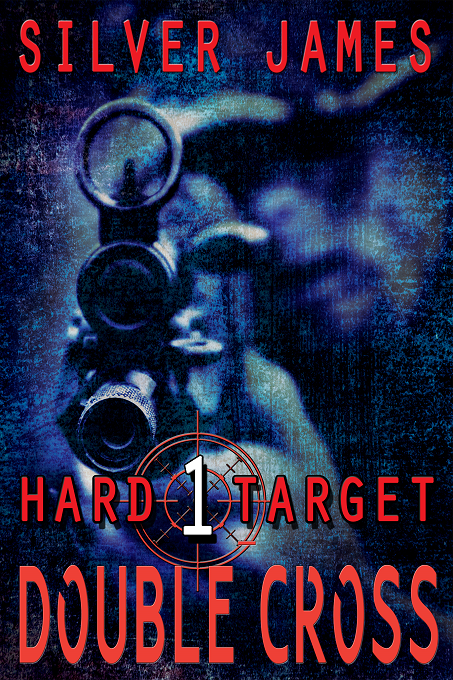 The guys on the Hard Target team, including team leader Duke Reagan, tease her about it being all frou-frou but she assures me that she has to make two batches just to get a bite because the men descend like locusts. If you’d like to read more about Cory and Duke, you can read the ebook for free if you have a Kindle Unlimited subscription, or buy it for $2.99 while it’s on sale at Amazon. CLICK HERE to start reading! This entry was posted in Writing Life and tagged books, characters, food, fun stuff, Hard Target, links, reading, recipe, Tuesday Treats. Bookmark the permalink. Yum. Loves me some key lime.